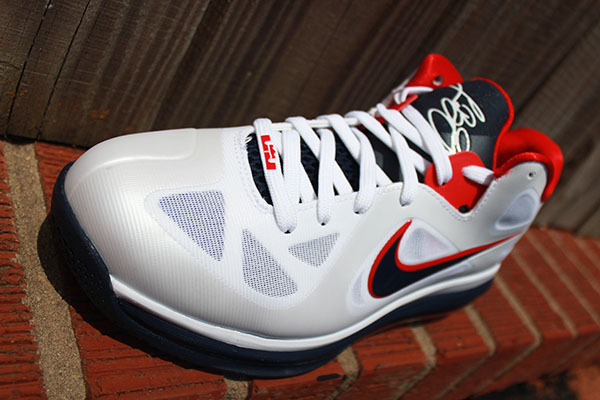 Though LeBron James was pictured wearing the Lunar Hyperdunk 2012 in Nike Basketball's Hyper Elite Uniform Unveiling, his most recent signature shoe will be released in a USA-themed colorway this summer. 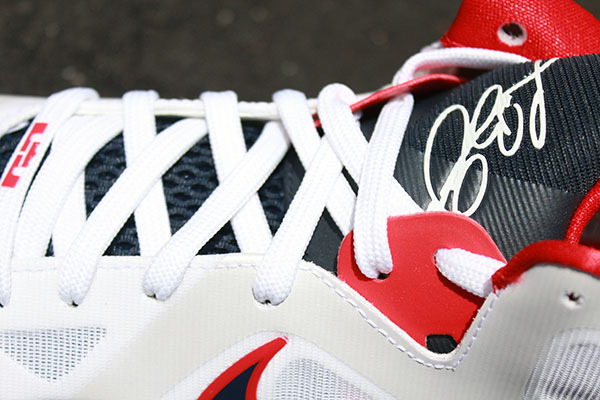 Though LeBron James was pictured wearing the Lunar Hyperdunk 2012 in Nike Basketball's Hyper Elite Uniform Unveiling, his most recent signature shoe will be released in a USA-themed colorway this summer. 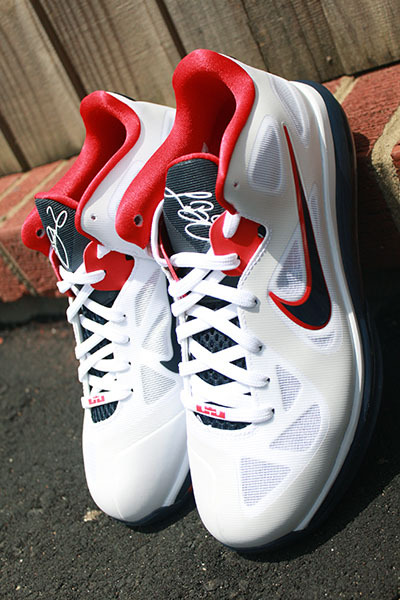 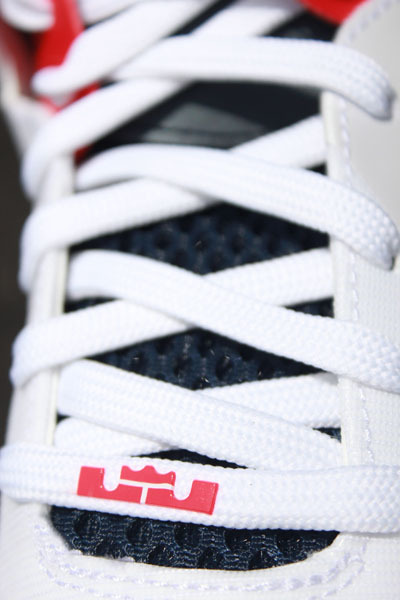 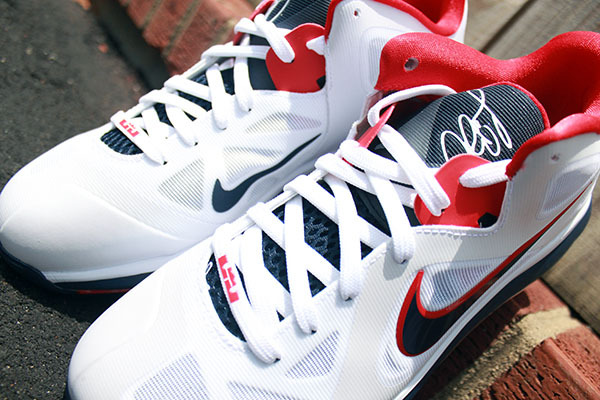 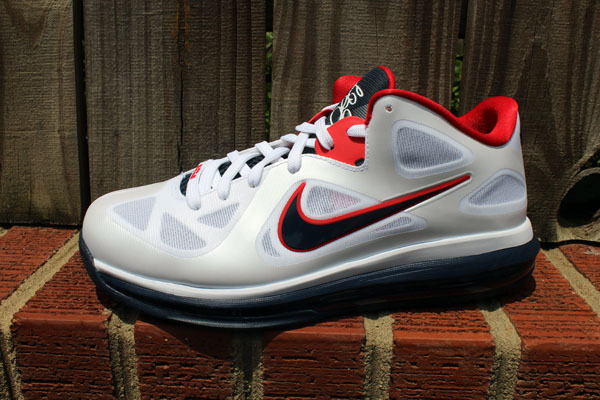 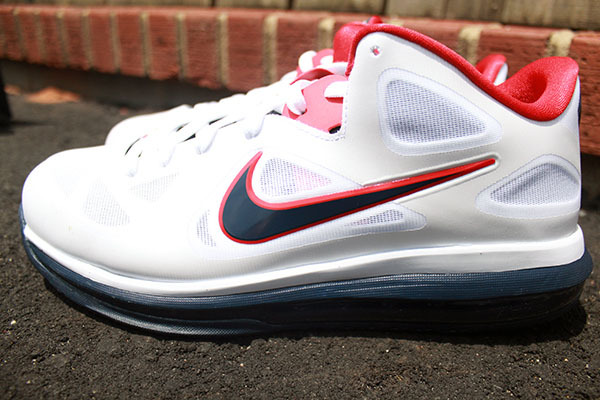 Getting the call this time is the low-cut variation of the Nike LeBron 9, which sports a white Hyperfuse-constructed base with obsidian and red accenting throughout. 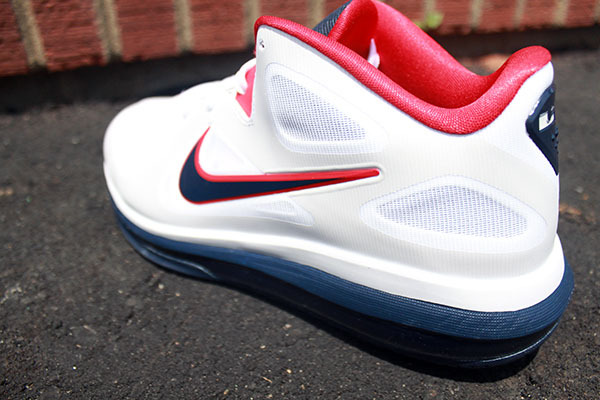 The shoe will drop alongside the "USA" Kobe VII on Saturday, June 16.